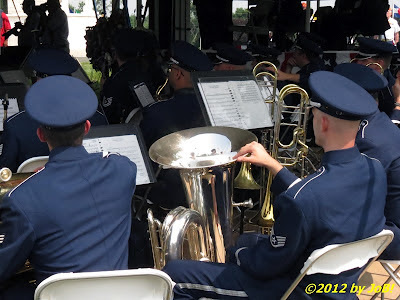 Members of Wright-Patterson Air Force Base's Band of Flight performing at the Memorial Day ceremony at the Dayton National Cemetery. Wright-Patterson Air Force Base Honor Guard members post the colors at the start of the Memorial Day ceremony at the Dayton National Cemetery. 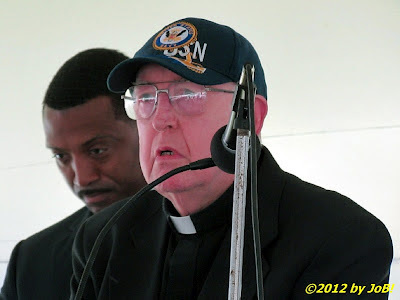 Father John Butler, chaplain of the Dayton VA Medical Center, offers an invocation at the start of the Memorial Day ceremony at the Dayton National Cemetery. 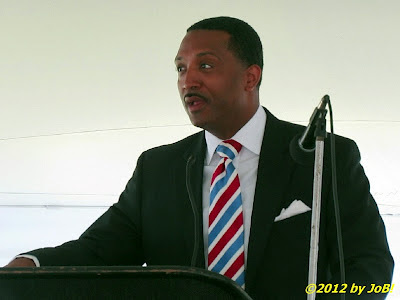 Standing behind Butler is Malcom Maddox, master of ceremonies for the event. 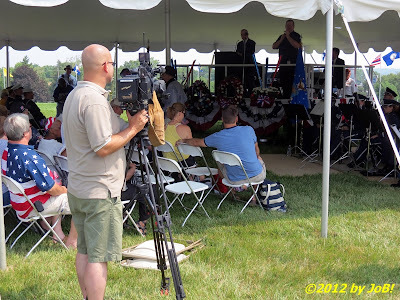 Malcolm Maddox, former US Marine and WKEF weekend anchor, offers his comments as master of ceremonies for the Memorial Day ceremony at the Dayton National Cemetery. 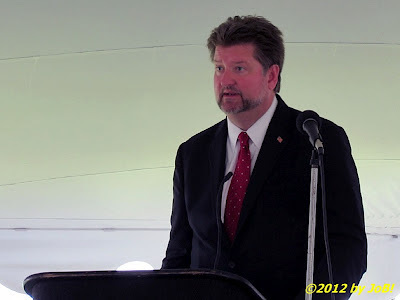 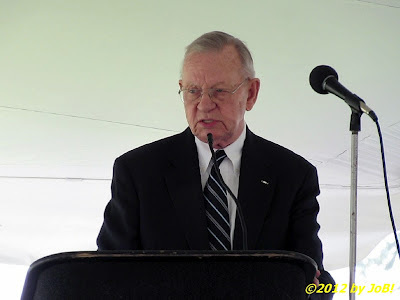 Glenn A. Costie, director of the Dayton VA Medical Center, address the gathering as guest speaker for the Memorial Day ceremony at the Dayton National Cemetery. 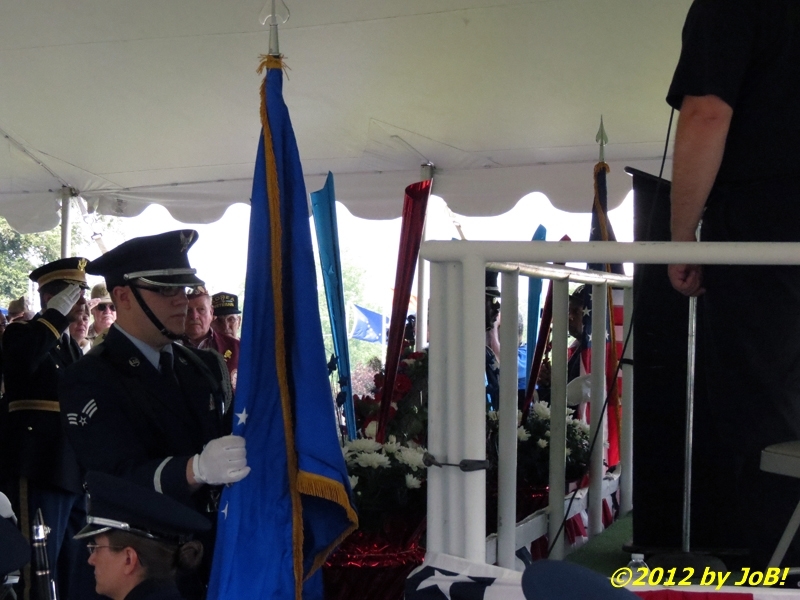 Retired Major General Charles S. Cooper III, secretary of the Air Force Museum Foundation, gives the Memorial Day address at the Dayton National Cemetery. 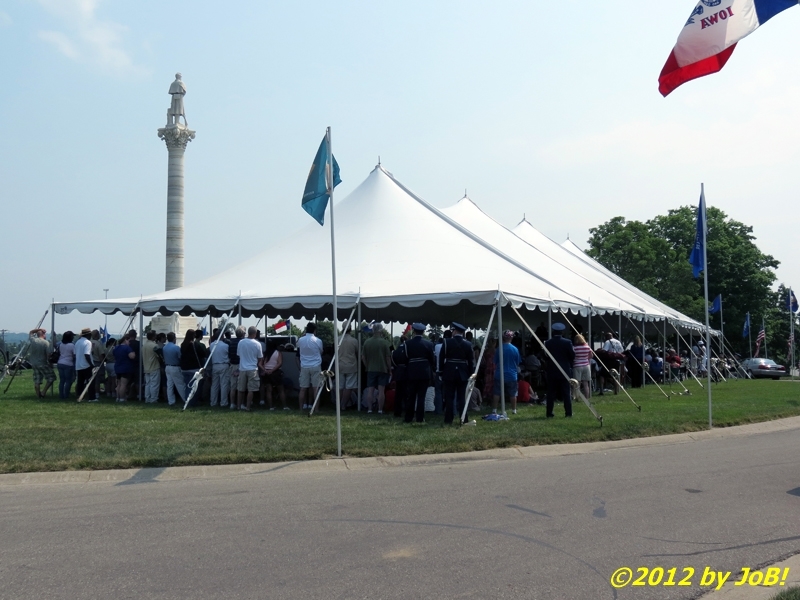 A view of the standing-room only crowd at the Memorial Day ceremony at the Dayton National Cemetery. 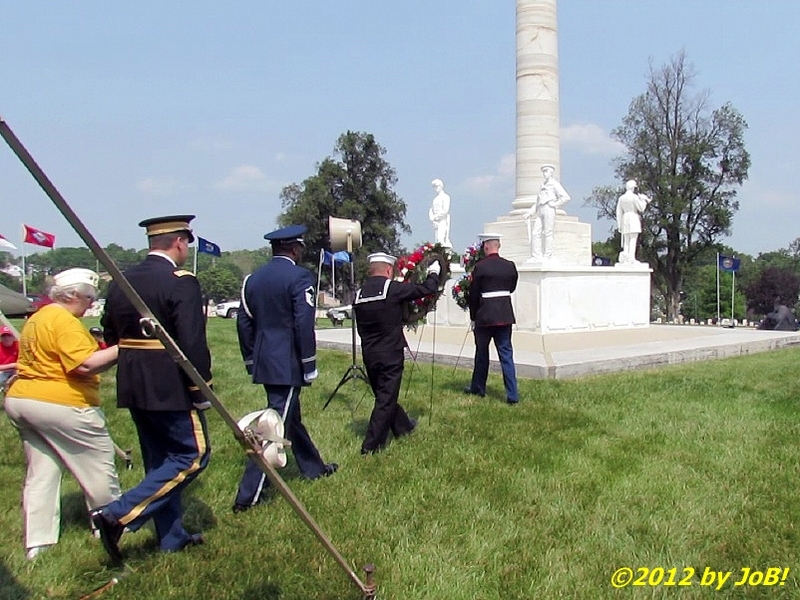 Representatives of the US Armed Forces and the Gold Star Wives of America proceed to place wreaths at the base of the Dayton Soldiers' Monument during the Memorial Day ceremony at the Dayton National Cemetery. 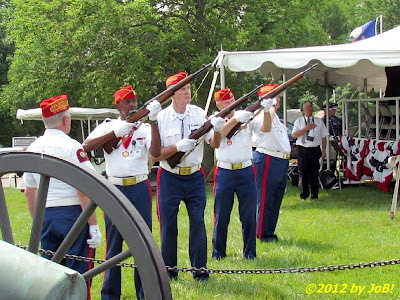 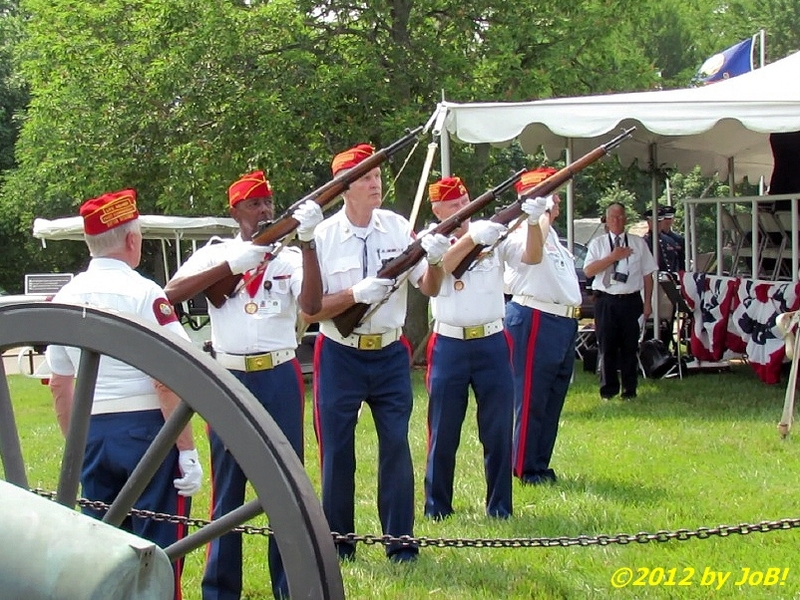 Members of the Veterans of Foreign Wars Post 657 from Riverside, Ohio provide a rifle salute during the Memorial Day ceremony at the Dayton National Cemetery. 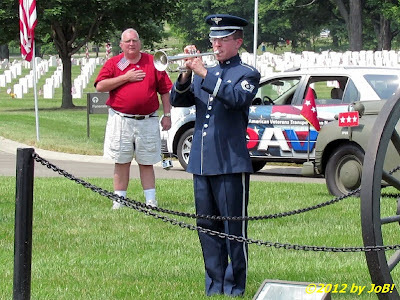 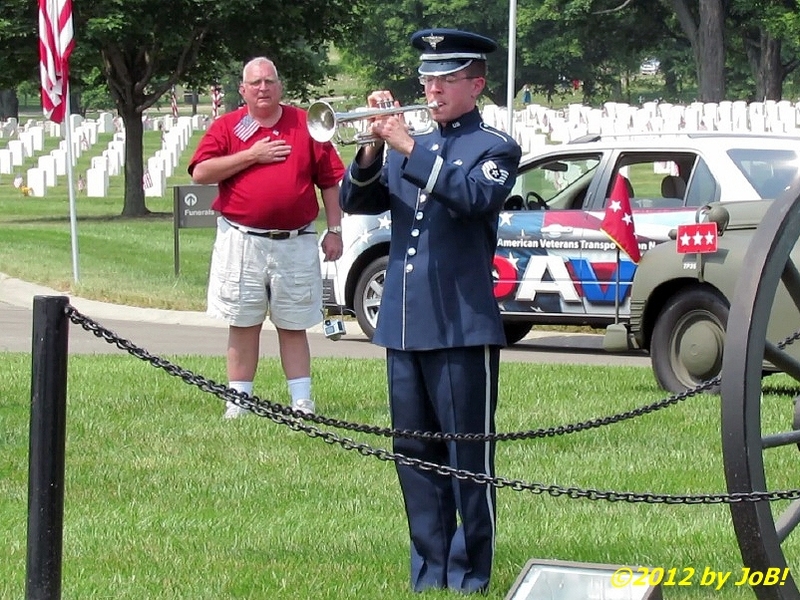 A member of the Air Force Band of Flight plays 'Taps' during the Memorial Day ceremony at the Dayton National Cemetery. 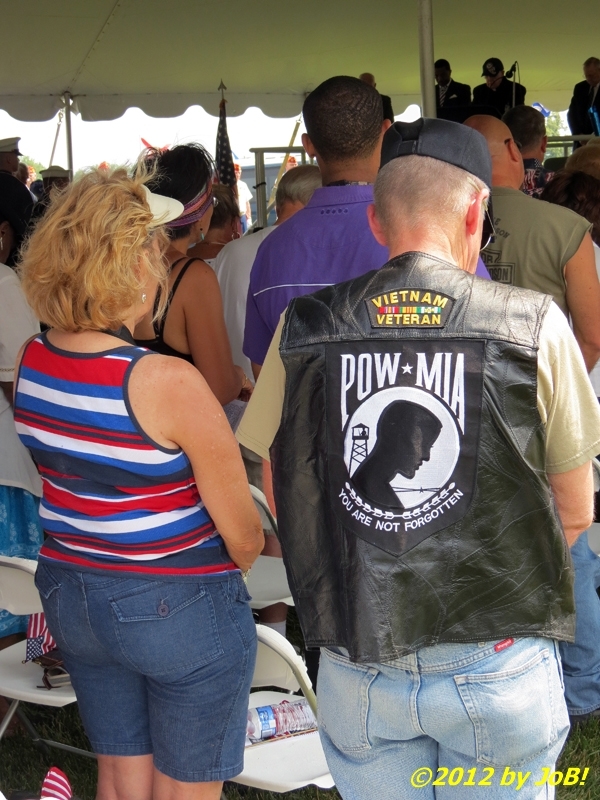 Members of the Dayton community display their patriotism and support for fellow veterans at the Memorial Day ceremony at the Dayton National Cemetery. 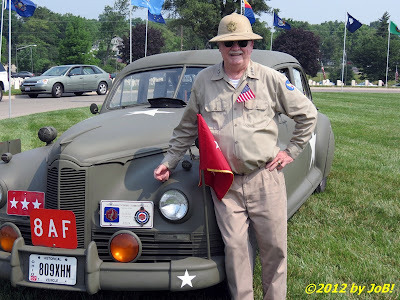 Bob Potts, in World War II-era clothing, stands next to his 1942 Packard Custom Super Clipper car that he modified to look like a general's staff car at the Memorial Day ceremony at the Dayton National Cemetery. 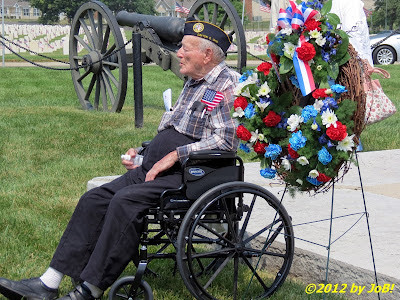 Edgar Mormon, a 93-year old World War II veteran, sits next to one of the remembrance wreaths at the Memorial Day ceremony at the Dayton National Cemetery. 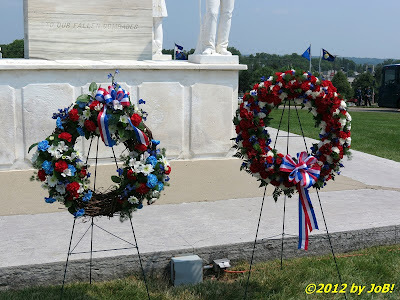 A close-up view of the two remembrance wreaths at the base of the Dayton Soldiers' Monument at the Dayton National Cemetery after the annual Memorial Day ceremony. 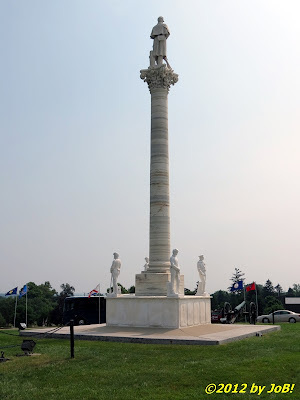 The Dayton Soldiers' Monument, completed in 1877, sits atop a mound near the center of the Dayton National Cemetery. 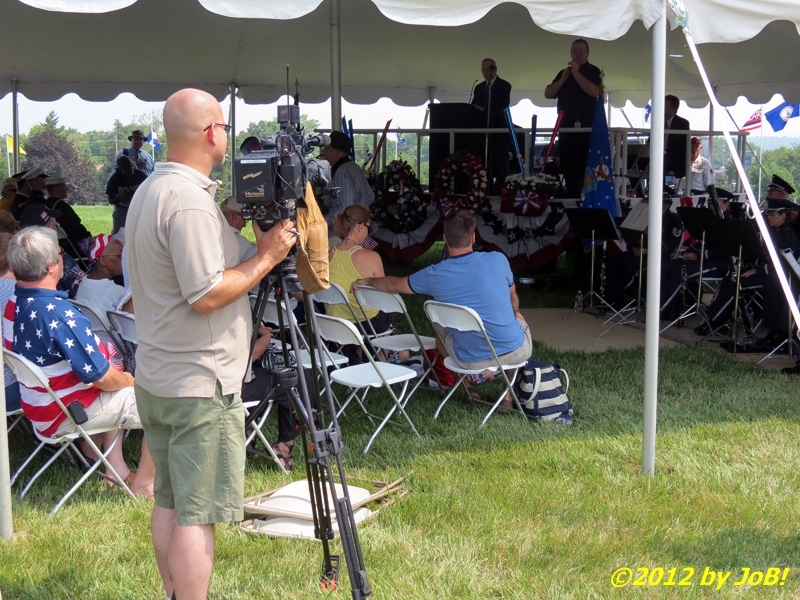 A cameraman from WKEF/WRGT, one of the few members of the local television media in attendance to cover the Memorial Day ceremony at the Dayton National Cemetery. 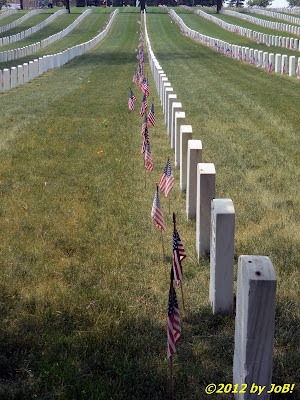 Veterans' headstones stand in what appears to be multiple lines on the manicured grounds at the Dayton National Cemetery. 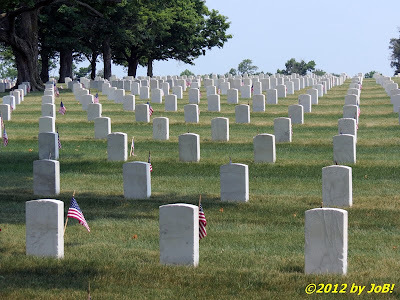 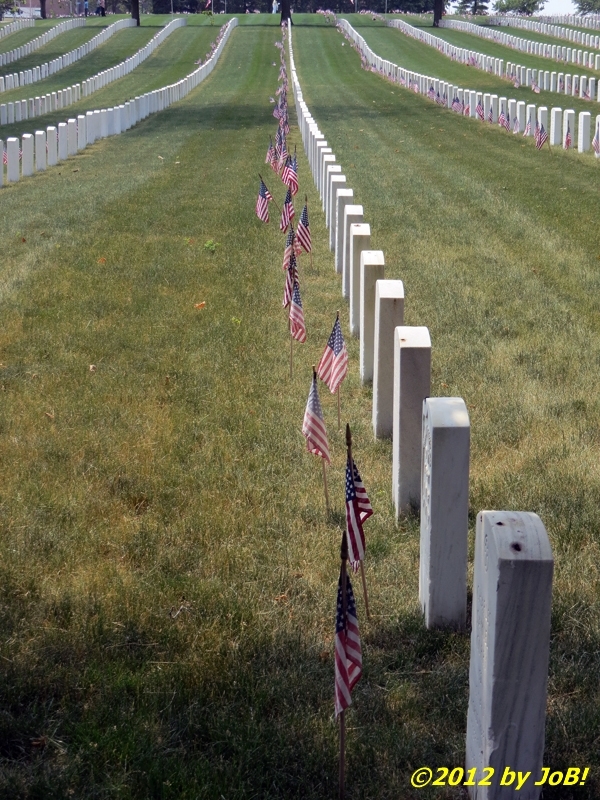 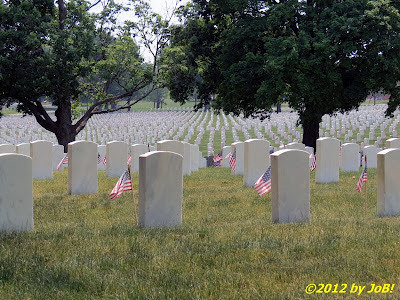 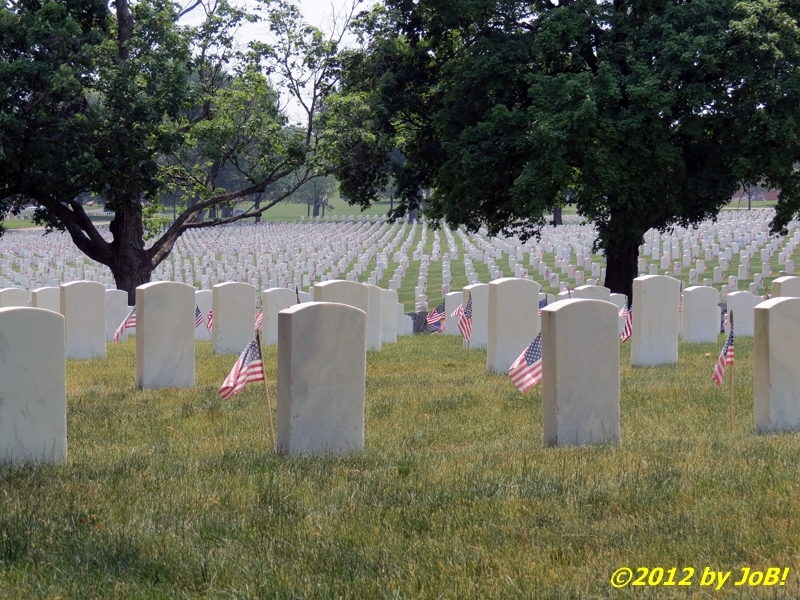 Just one row of the more than 42,000 headstones and markers that adorn the Dayton National Cemetery. 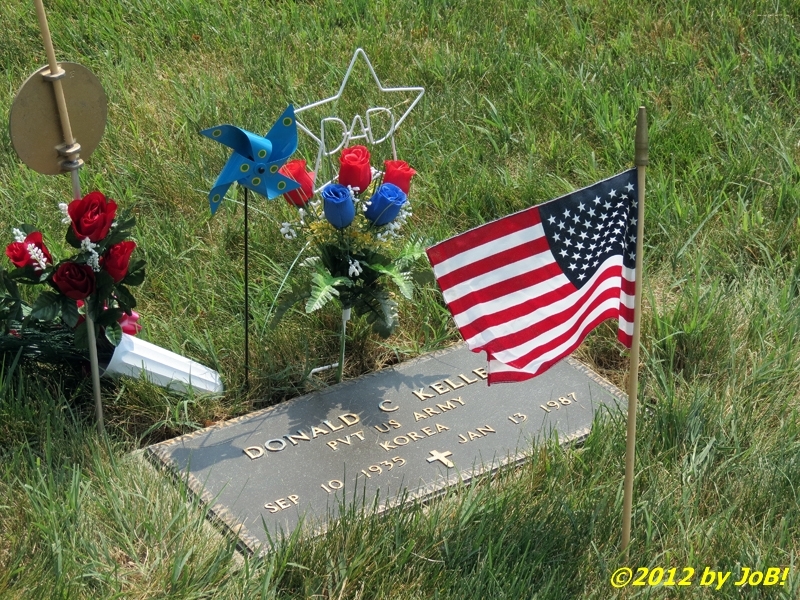 A personal floral arrangement for one of the many veterans who are buried at the Dayton National Cemetery. 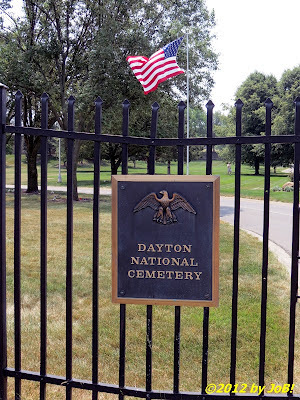 The Dayton National Cemetery, situated on the city's west side, was established in 1867 and holds the remains of veterans from every major US conflict dating back to the Revolutionary War.